Caroline Gardner is expected to be approved by MSPs on Thursday and will take up her new role in June. The appointment of Scotland's first female auditor general is to be approved by Holyrood. MSPs are expected to give their backing to Caroline Gardner to take on the role of the country's public spending watchdog on Thursday. Ms Gardner will succeed Robert Black, who was the first auditor general for Scotland and who announced last year he would be stepping down in 2012. The auditor general is responsible for the audit of most public bodies, and helps to ensure that public money is spent properly, efficiently and effectively. The appointment, which comes with a salary of £140,000 per annum, will be for a period of eight years. 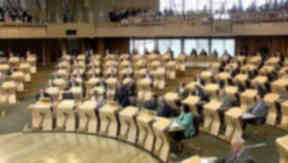 MSPs are expected to formally approve a motion nominating Ms Gardner to the Queen for the job in a vote at Holyrood. She will then take up the position in June. Ms Gardner was deputy auditor general with the public spending watchdog Audit Scotland between 2000 and 2010. She has 25 years of experience in public audit, financial management and government, and recently spent a year as the chief financial officer to the Turks and Caicos Islands Government, having been appointed by the UK Government's Department for International Development to restore financial stability to the country's finances. She has also served as the president of the professional body the Chartered Institute of Public Finance and Accountancy.